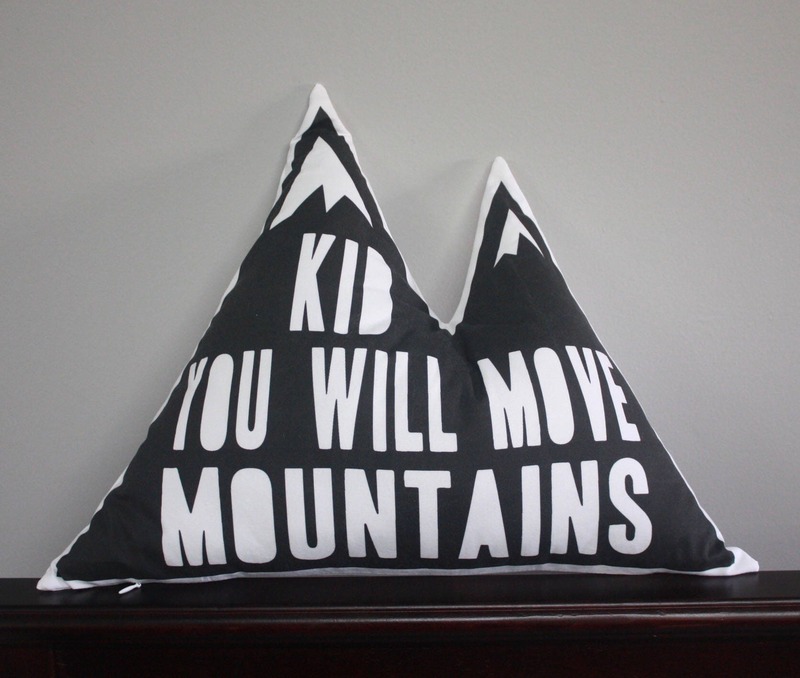 Approximately 19" x 15" shaped modern black and white graphic mountain print pillow with solid white kona cotton back and an invisible zipper in the seam. 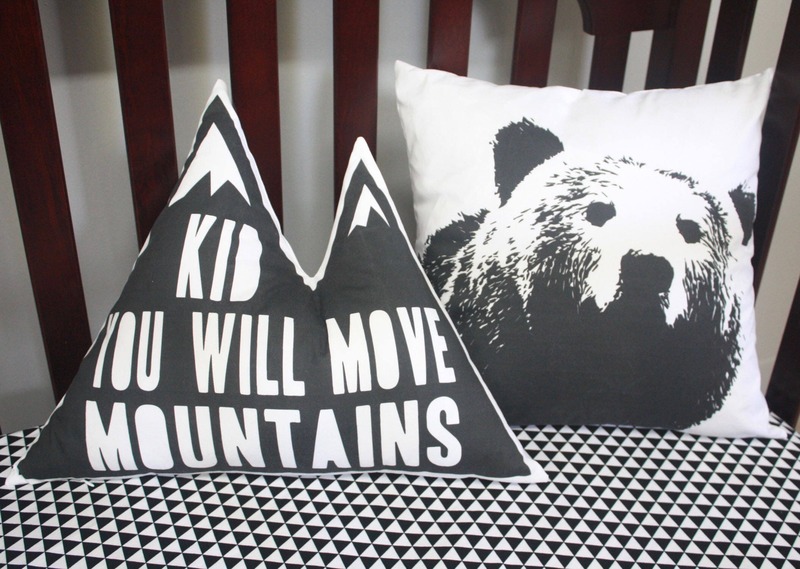 Includes custom pillow form. 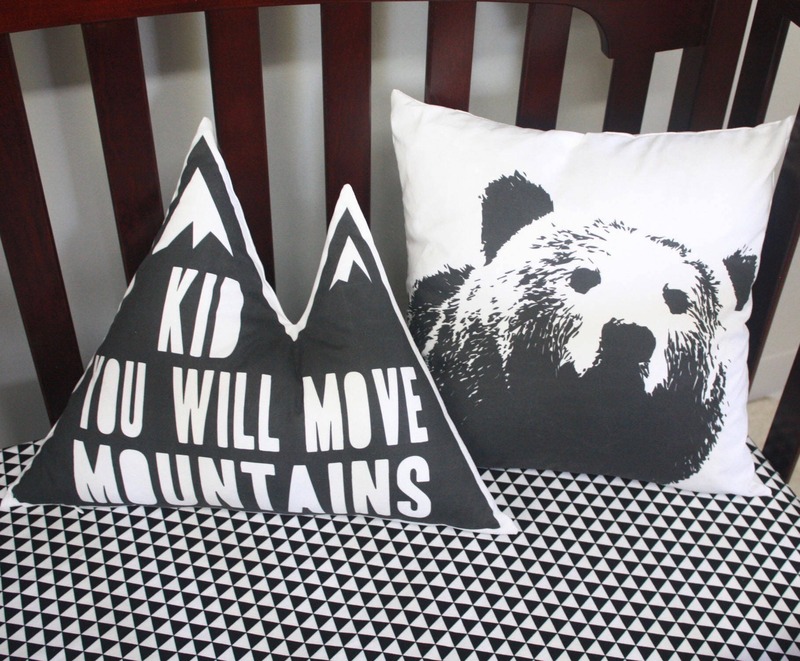 This is a perfect addition to any modern black and white woodland nursery! 100% Kona cotton pre washed in baby safe detergent.